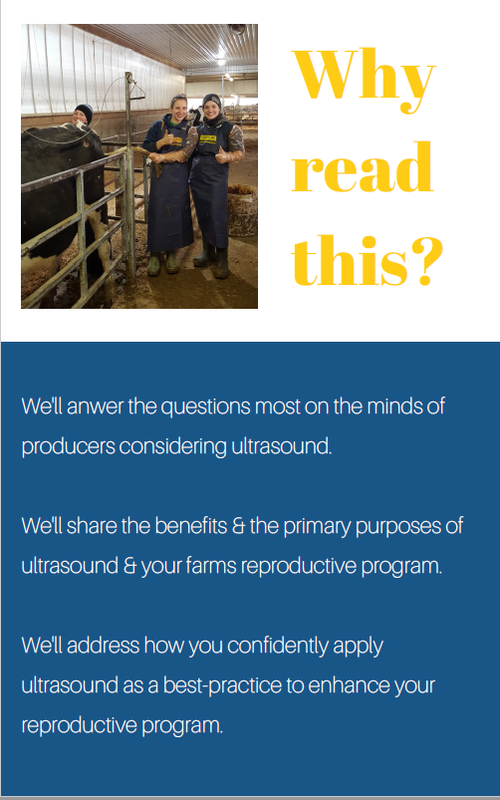 Many producers are incorporating ultrasound on their farms due to the convenience of having a scanner readily available to manage pregnancy checking. A great number of producers are learning to ultrasound their herds confidently and with success. 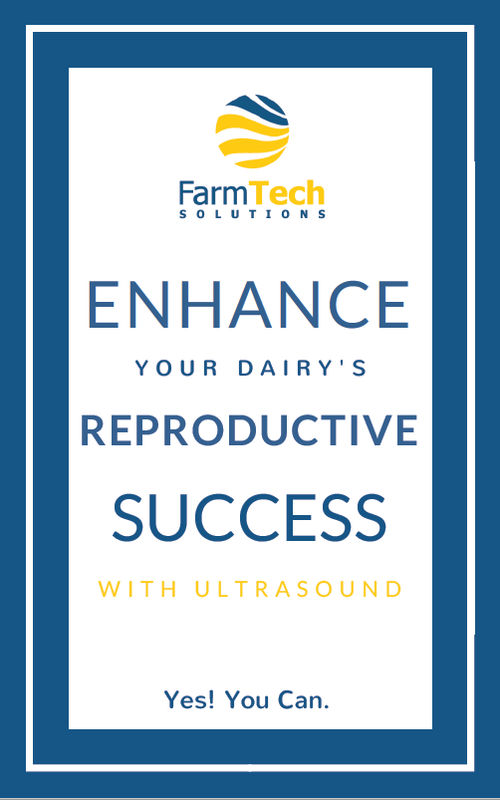 FarmTech Solutions is your one stop solution for best in class portable ultrasound machines and the education and support to ensure your success. 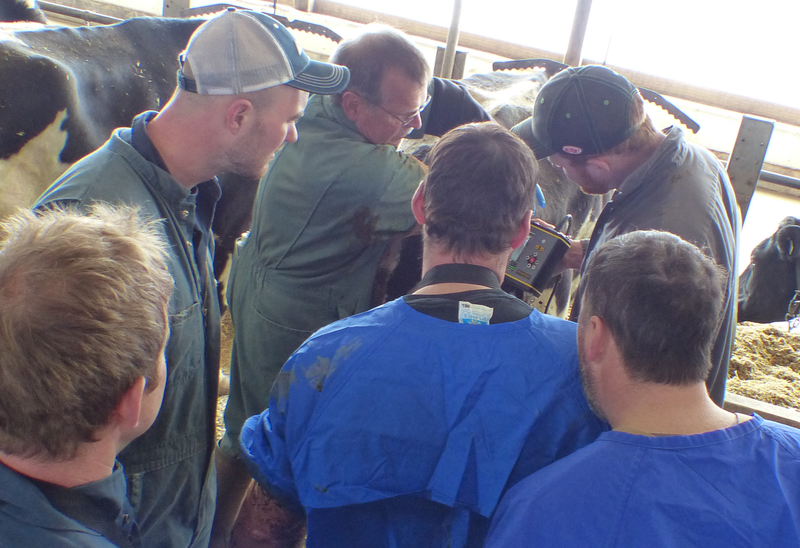 Ultrasound Training courses include classroom instruction and live on-farm demonstrations with guided practical hands-on applications and practice. 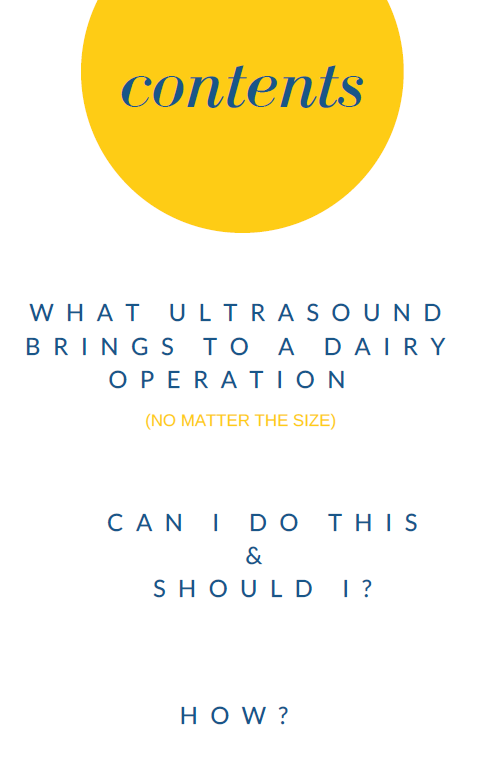 With two courses to choose from, you decide if your aim is to learn how to ultrasound and perform pregnancy checks successfully or if you are interested in full reproductive ultrasound applications in dairy cattle. FarmTech Solutions offers both one and two-day, hands-on courses to best meet your needs and schedule. Next course dates coming soon. Contact us to be added to the wait list. This one-day hands-on course is an introduction to ultrasound, bovine reproductive anatomy, early pregnancy and non-pregnant diagnosis. This two-day, hands-on training includes all of the 1-Day training content; (introduction to ultrasound, bovine reproductive anatomy, early pregnancy and non-pregnant diagnosis) and builds on this to cover identifying twins, fetal death, ovarian dynamics; follicles, cysts, corpus-luteum identification and uterine infections. Basics of ultrasonography, ultrasound equipment and its applications. Basics of reproductive system anatomy. Live on-farm demonstration with guided demonstrations of gynecological examinations, hands on practice and discussion of various cases. Image interpretation – pregnant/open, ovaries, uterus, cysts, corpus luteum, uterine infections, twins, fetal death. Courses are facilitated by Dr. Tom Wheal, DVM, a practicing veterinarian for over 40 years specializing in bovine reproduction and embryo transfers. Please note that a course pre-requisite is either experience breeding cows, doing manual palpations, or an AI Course previously. If you can manually find a cervix successfully, you’re ready! Interested in participating in an upcoming training or arranging a training on your farm? Please note that many of our courses have a wait-list and we do our best to accommodate everyone keen to attend a course. We ask for as much advance notice as possible if you have to cancel your participation in a course and require 2 weeks cancellation notice at a minimum if cancelling a course registration.